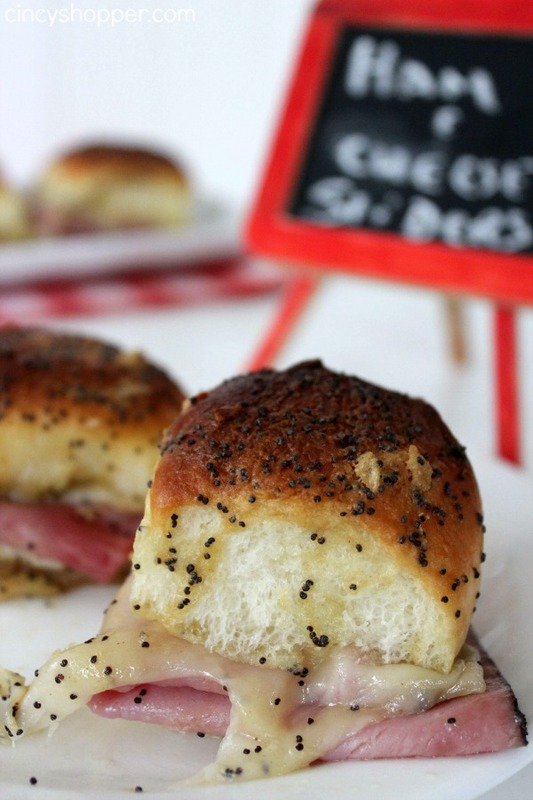 Oh My these Ham and Cheese Sliders were a huge hit with my guests this past weekend. Loaded with ham, Swiss cheese and a mustard sauce all baked up to perfection. These sandwiches are delicious and over the top messy (in a good way). Perfect for game day or any party you are looking to serve up a tasty slider to. 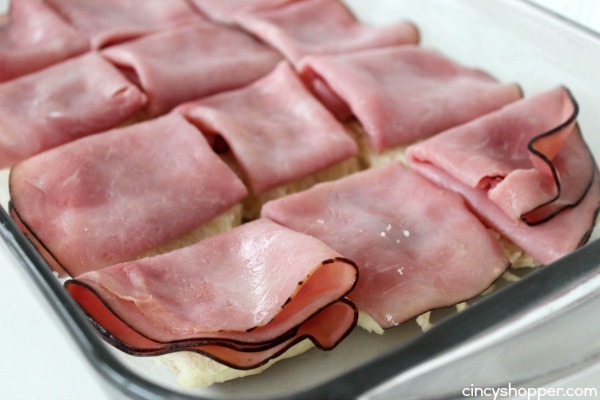 I am sure you have noticed these popular sandwiches if you surf Pinterest much. We quite often make our Philly Cheesesteak Sliders so I knew a slider was what we were needing for our party. 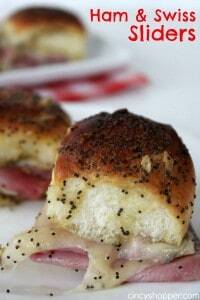 I have been considering making these mini sandwiches for quite some time. I am so upset I had not made them sooner. They are a perfect party appetizer. We will most likely make these again for our New Years Eve party too! I made two dishes of these bad boys and they were gone within just a few minutes time. I wish I would have taken a count on how many times I was asked if there were any sliders left. I love and hate when that happens ha ha! It reassures me that the sandwiches were really “that good”. But also disappointing that I did not make enough. I know I will be overly prepared next game day! 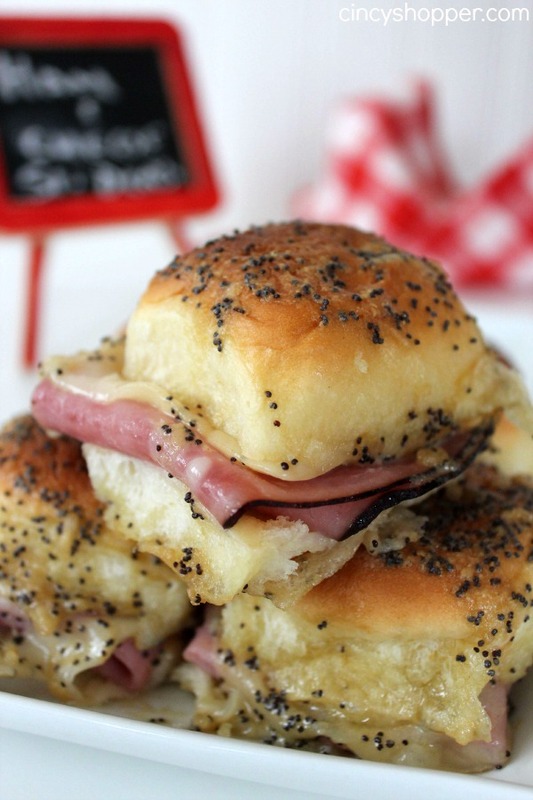 The ingredients and process for these Ham and Swiss sliders is super simple. 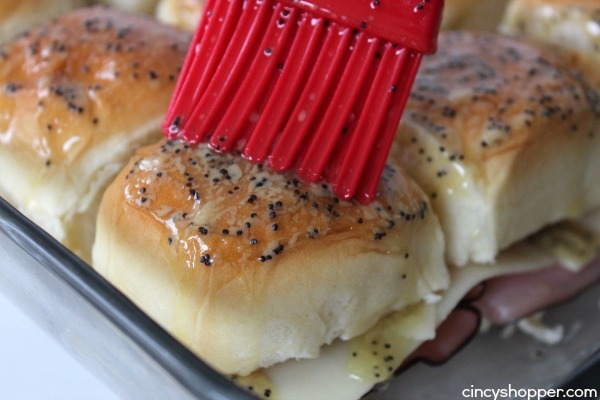 You will need some rolls (I used a yummy Kings Hawaiian), ham, Swiss cheese, a few other ingredients. Then just a few minutes of prep and into the oven they go! Very simple. Slice the rolls to make sandwiches. Remove tops and set aside. 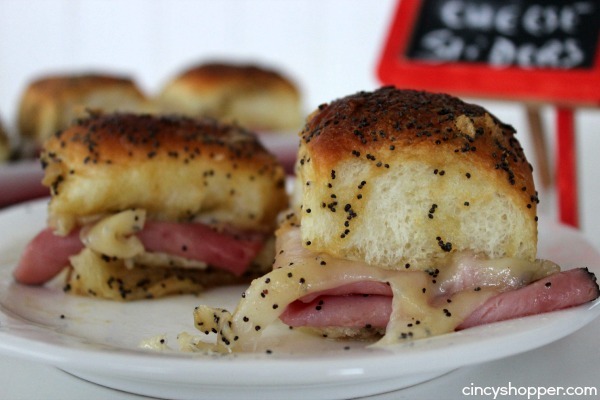 Oh, is there anything better than melted cheese and ham? I think not… not when they look like this anyway! This is a meal my whole family would love! Thanks for sharing. 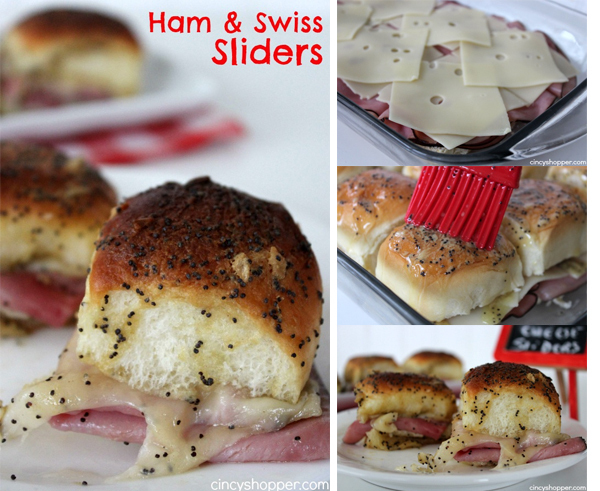 Your Ham and Swiss Sliders look fantastic, a great party idea. Hope you are having a great week and thanks so much for sharing your awesome talent with Full Plate Thursday. These sounds absolutely devine. 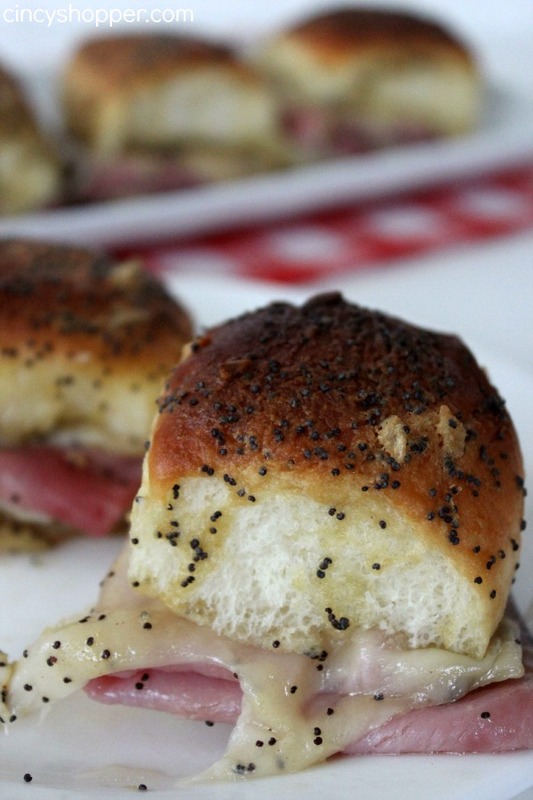 Anyone who loves ham and swiss sandwiches will devour these. I will have to make some for my friends next football get together. 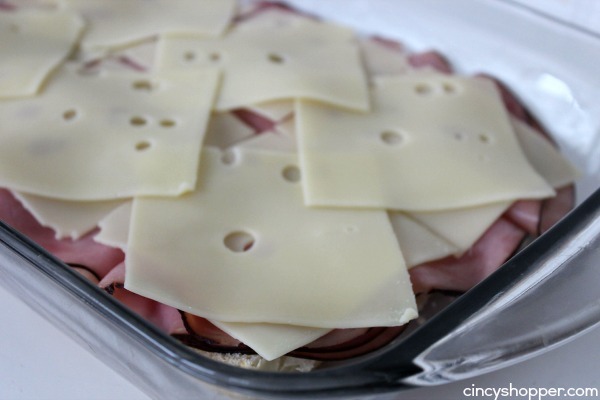 Will also substitute cheddar for those who do not like swiss cheese and leave the ham off for those who don’t eat ham. Made these sliders for Christmas Eve. Baked for 20 minutes then transferred to a crockpot and put on warm setting. They were great for about one hour then they got too hot and burned the bottom ones. sauce. 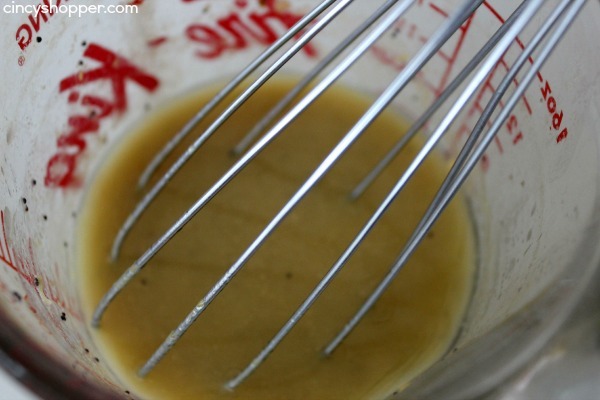 Simply blended a sweet pickle in a 1/4 cup of buttermilk ranch. These look SO good. I can’t wait to try making them! 3/4 Butter was wayyyyyyy to much. I think it should prob be 1/4 cup of butter. I will try again using that. I’m drooling, these looks so good. 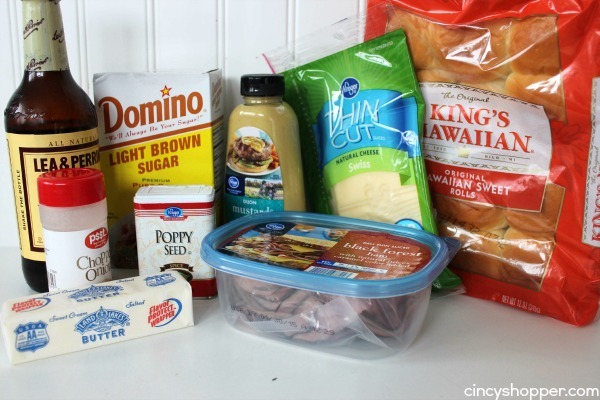 We love anything sandwiched between Hawaiian rolls, so I know these are delicious. Thanks for sharing on Merry Monday. Pinned. I think my sister-in-law uses this recipe. They’re delicious! Absolutely delicious! Used ham and turkey on some and used provolone cheese!! There’s lots of variations ! These look super yummy! Sharing! Thank you for sharing on Merry Monday! We hope you will join us again next week! Made them many times but the amount of butter is waaay too much. 6 Tbs are adequate. I also cut entire brick of sweet rolls in half ( without separating them). This probably accounts for the need for less butter and it’s less work.